Have you ever wanted to be a Superhero? To have magical powers like Harry Potter or to have superpowers like Superman or Wonder Woman? My name is Janina Scarlet. I was born and raised in Ukraine. When I was just a few months shy of my third birthday, there was a massive nuclear explosion a few cities away from us at the Chernobyl Nuclear Power Plant. This event forever changed my life. My immune system was severely weakened due to radiation exposure. I would get sick very easily. I got frequent nosebleeds, which wouldn’t clot. I spent many years in and out of the hospital.. A side effect which still affects me to this day is that whenever the weather changes, I experience severe migraines, and sometimes seizures. After the Soviet Union split up in 1991, poverty, unemployment, and homelessness lead to a rapid increase in violence, especially toward Jewish people. It became extremely dangerous for my family and I to live there. After years of waiting, we were granted refugee status and allowed to come to the United States. I was twelve years old, about to start 7th grade. It is a devastating fact that middle school children often get bullied. As a girl who did not speak English, did not understand the culture, coming from a radioactive country, I became an easy target. My classmates would ask me if I am radioactive, contagious, or if I glow in the dark. On most days I just wanted to die. I felt like a “freak.” I felt broken and alone. I was struggling with severe depression and PTSD. Then, a few years later, I saw a film, which forever changed my life – X-Men. This film is about superheroes (or mutants), each of which has a genetic mutation. The X-Men have all experienced bullying, persecution, and alienation. I had tears running down my face. I felt as if I was watching myself on the screen. For the first time in my life I didn’t feel alone. I felt understood. Accepted. Watching that film allowed me to understand that our traumatic histories are merely our origin stories, from which we can build out the rest of our heroic journey. I didn’t know it at the time, but I was essentially experiencing posttraumatic growth. I then went on to study psychology, first in high school, then college, and graduate school. I have found that just like many fictional heroes, real life trauma survivors can also develop postratumatic growth and find meaning in their painful experiences. For example, one of my clients started a support group for survivors of sexual abuse after she herself had experienced it, and is now an active supporter of survivors’ rights. Many individuals may struggle with understanding their emotional experiences. By creating powerful connections with fictional heroes and stories, such as Harry Potter, Star Wars, Batman, X-Men, and others, clients can learn to better understand, process, and verbalize their experiences. For example, one of my clients, a service member who recently returned from deployment, struggled with discussing his experience of seeing his best friends getting killed in front of him. However, he was able to discuss at length about how young Bruce Wayne (Batman) felt when he saw his parents getting killed by a mugger. By connecting to the pain of his beloved fictional character, my client was able to process his own pain and better understand his own grief experience. 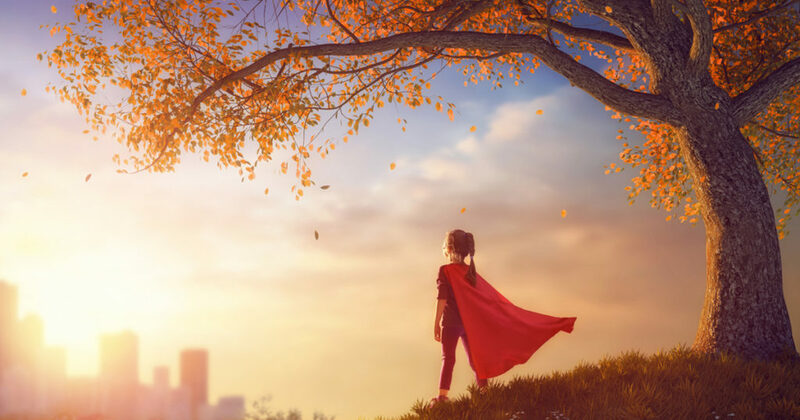 Through building heroic role models, like Batman, clients can learn to discover a sense of meaning and purpose in their experience and learn how to become their own version of a superhero in real life. Learn How to Incorporate Popular Culture and Interactive Games Into Evidence-based Therapies!